If there's one thing that we can be sure of the Korean skincare routine is widely popular and appreciated by so many. If you're not keen on the full on 10 step process - the 3 step one I'm going to introduce you to may be more certain. One thing that we all can take from the Korean skincare routines are their no fuss sheet masks. I've tried them before and sometimes if I'm going out they're great to use on the face pre-makeup if my skin needs a little something-something. These are £7.99 each (or subscribe & save from £12.99) which I think is pretty reasonable as yes it's a one time use product but you're getting more out of it than other sheet masks that can cost a lot more. Korean products are the best and I like that there is a three step system. The sheet masks sound great! I have not come across this product it sounds great. Ooh this sounds really good. I've never tried one so I'm going to have a go! Love the 3 step system, I've always wanted to try a sheet mask! We've yet to try a sheet mask but have heard from others that Korean skincare is the way forward, must give it a try! I love masks any kind of masks they are just so good for your skin and so relaxing!!! 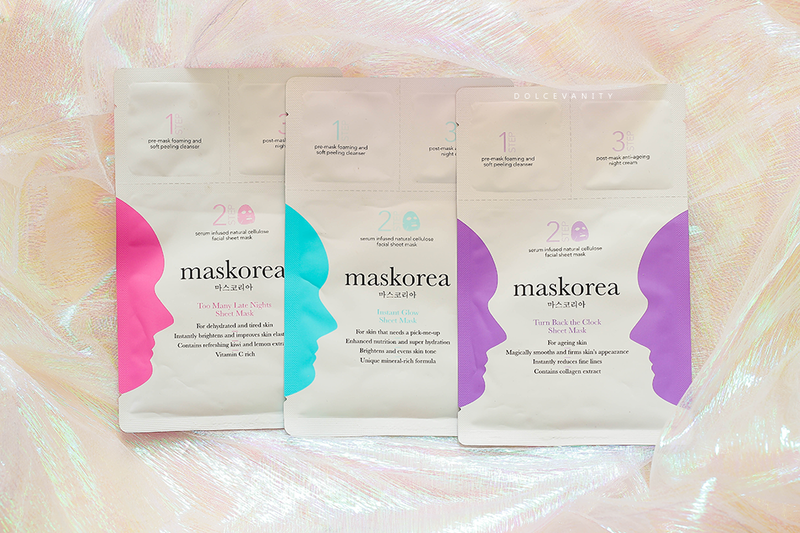 I really hear so many great things about Korean Beauty and would love to try these sheet masks. Ooh I love sheet masks and these ones look fab!